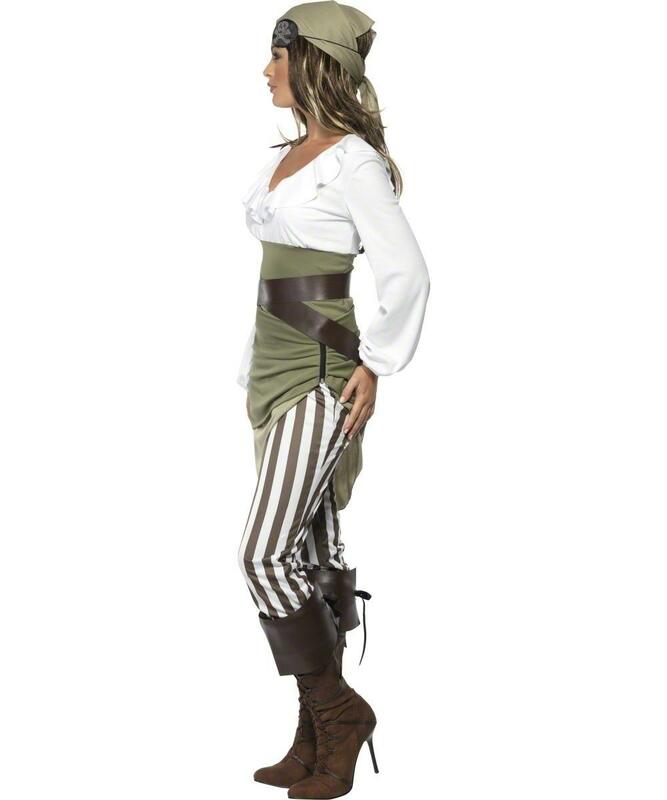 Transform yourself into the prettiest pirate around and have all the boys fighting for your affection with this Pretty Pirate Fancy Dress Costume. The costume comprises of a white long sleeved top with pretty ruched neckline, a olive green skirt, a brown and white striped tights, a pair of brown boot toppers and a stylish cross over black belt. No pirate would be complete without a gorgeous headpiece and this costume comes complete with a matching olive green headscarf. 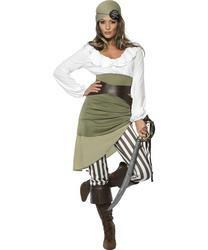 A fantastic complete outfit that will get you ready for any Pirate themed fancy dress party.